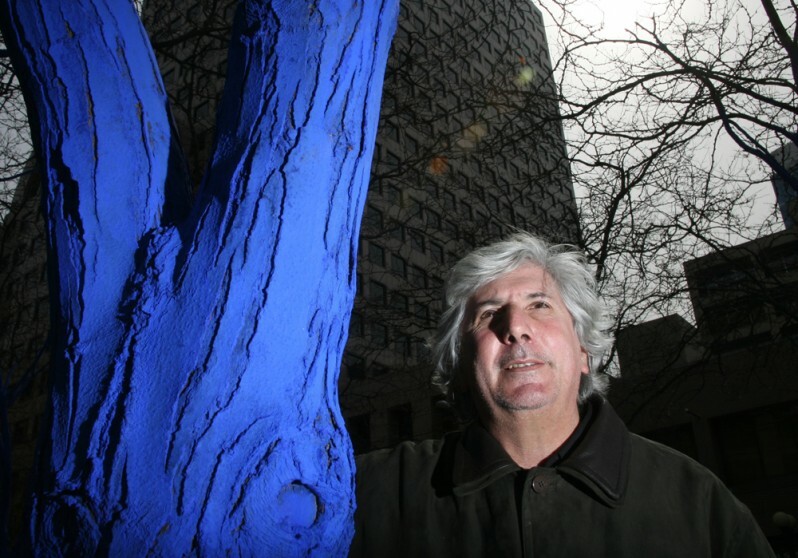 The artist Konstantin Dimopoulos will be speaking about the award winning Blue Trees project with grew out of the 2009-2011 Vancouver Biennale and has since been installed in cities around the world. The Blue Trees is an international award winning public art installation which brings environmental consciousness and social action together through community participation. Pigmenting trees blue, a colour not naturally associated with trees, raises social consciousness about the role of trees as the lungs of the world. Help The Blue Trees artist, Konstantin Dimopoulos, pigment the trees that will form the latest Vancouver Biennale installation for New Westminster. Click here for details. Please note that this event will be photographed and video recorded for use on social media and the Vancouver Biennale Website.